42.48 Ac turnkey gated equestrian estate adjoins 430 ac Ashland Farm w/access to riding program & miles of trails! 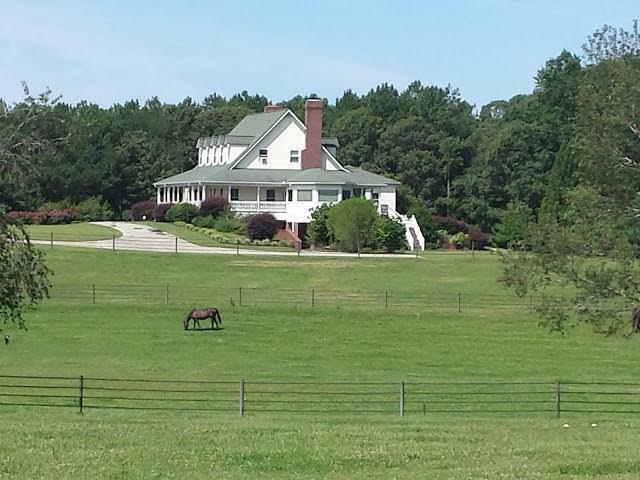 Close to schools, shopping, airports, Atl, Shire & equestrian venues. Gorgeous 4 BR, possible 6, with en suite baths, Gourmet kitchen, keeping rm, solarium, breakfast rm, dining rm, huge verandas, working 8 stall stable w/wash stall, auto spray sys, tack & feed rm, hay barn, implement barn with 2/1 apt is perfect for a home bus, prof. lighted arena. A wonderful family estate, B&B, Home Business. So much here for your money. Sellers say bring all offer! Directions: From Atlanta Take I 20 East To Exit 82. Go North On 138 To Walnut Grove. Go Right On Hwy 81 To Right On Cannon Farm Road Just Past Walnut Grove Elem. R Into Gated Drive. From Loganville, Head South On 81 To R On Cannon Farm. From Covington At Exit 90 Go E On 278 L On Hwy 81 To L On Cannon Farm Rd.